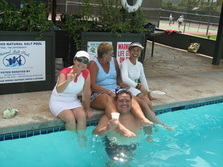 Welcome to what has been described as "the best tennis club this side of the Mississippi", the Kailua Racquet Club. 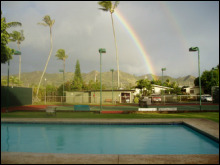 A member owned, private tennis club, we are nestled in the heart of coconut grove in the wonderful beach community of Kailua. Since 1938, KRC members have enjoyed the club's relaxed ambience and many amenities. Besides great tennis, many life-long friendships have developed here. Office hours are weekdays 8:00am to noon. Please feel free to contact us or follow us on Facebook. The KRC Court Cam is anticipated to be functional early August, 2015. July 26 - August 8! Click HERE for CORPORATE SPONSOR INFORMATION!!! Click HERE for INDIVIDUAL SPONSOR INFORMATION!!! Or just leave your clicker alone and jump in you car and come down to watch!! !